Odisha in spite of rolling out a flurry of people-centric programmes with an eye on the impending polls succeeded in containing its fiscal deficit at 2.9 per cent (of the GSDP) in the revised estimates for 2018-19, lowering it from 3.5 per cent projected in the initial Budget estimate. In its Budget for 2019-20, the state government has envisaged a fiscal deficit of three per cent of the GSDP at Rs 16,193 crore within the limits set by Fiscal Responsibility and Budget Management (FRBM) Act. In the Budget for 2018-19, Odisha had set a higher fiscal deficit projection as it provisioned for the Centre's Ujjwal Discom Assurance Yojana (UDAY) though discoms in the state turned out to be ineligible for the scheme's implementation. Headed for the elections, the state government proposed a Vote on Account worth Rs 56,921 crore to defray expenses for April-July 2019. The overall Budget outgo was pegged at Rs 1.32 lakh crore, exceeding last year's estimates by about 10 per cent. The Budget estimates a revenue surplus of Rs 8433 crore or 1.6 per cent of the GSDP. The outgo is expected to be financed primarily by revenue receipts worked out at Rs 1.1 lakh crore for the next fiscal. The Budget's thrust is on farmers' welfare, food security, social security, healthcare, empowerment of women, tribal development and education. Despite steering free of fiscal profligacy, the Vote-on-Account for April-July has ample provisioning for people-centric schemes. The Vote-on Account envisages Rs 56,921 crore expenditure for the period, earmarking Rs 4461 crore for Odisha's acclaimed KALIA or Krushak Assistance for Livelihood and Income Augmentation (KRUSHAK) scheme. It has also budgeted for an array of welfare schemes- Ama Gaon, Ama Bikash- PEETHA (Rs 400 crore), Rural water supply- BASUDHA (Rs 2935 crore), Madhubabu Pension Yojana (Rs 2120 crore), Biju Swasthya Kalyan Yojana (Rs 864 crore), Gopabandhu Grameen Yojana (Rs 500 crore) and MAMATA (Rs 305 crore). 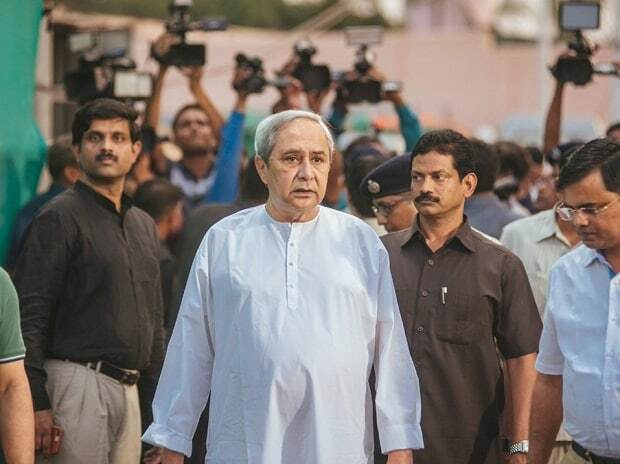 Odisha's finance minister Shashi Bhusan Behera was upbeat on the state's growth projections. “Odisha's economy is expected to grow at the rate of 8.35 per cent in 2018-19 surpassing all India growth rate of 7.2 per cent. This comes on the top of a robust average growth of more than eight per cent in the last six years compared to national average of about 7.1 per cent. Going by the trends in the external and domestic economic environment, the state economy can be expected to grow in the range of 8-8.5 per cent during 2019-20”, Behera said in his Budget address. Of the total Budget size of Rs 1.32 lakh crore, total administrative expenditure is estimated at Rs 58,170 crore- made up by Rs 25,500 crore for salaries, Rs 13,300 crore pension, Rs 6,500 crore for interest payment and Rs 4880 crore for maintenance of capital assets. Total programme outlay is pegged at Rs 70,000 crore for 2019-20- this includes Rs 66,000 crore for the government sector and Rs 4,000 crore earmarked for the public sector undertakings. Capital outlay in 2019-20 is estimated at Rs 23,784 crore which is 4.4 per cent of GSDP. Additionally, loans and advances, grants for creation of capital assets and other expenditure for capital formation together account for nearly Rs 10,000 crore or two per cent of GSDP.